Normally, I don't post twice in one day, but today isn't a normal day. Right now, I'm using my cousin Michael's computer on an Amtrak train! We left Penn Station in New York City and are on our way to Union Station in Washington, DC. Anthony and Michael have never been to DC, and I haven't been since I was 13. We are all very excited. 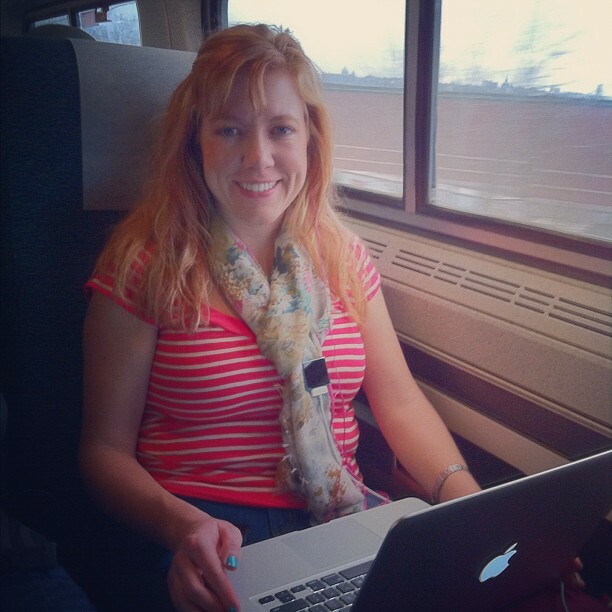 The new adventure part today is the fact that I am blogging on a train. I also blogged this week from the airport. But that will be for another adventure post. Actually, there will be a lot more adventure posts next week. Stay tuned!